These Spohn Extreme Duty tie rod adjusters are machined from 15/16" x .156" heavy wall 4140 chrome moly hex. 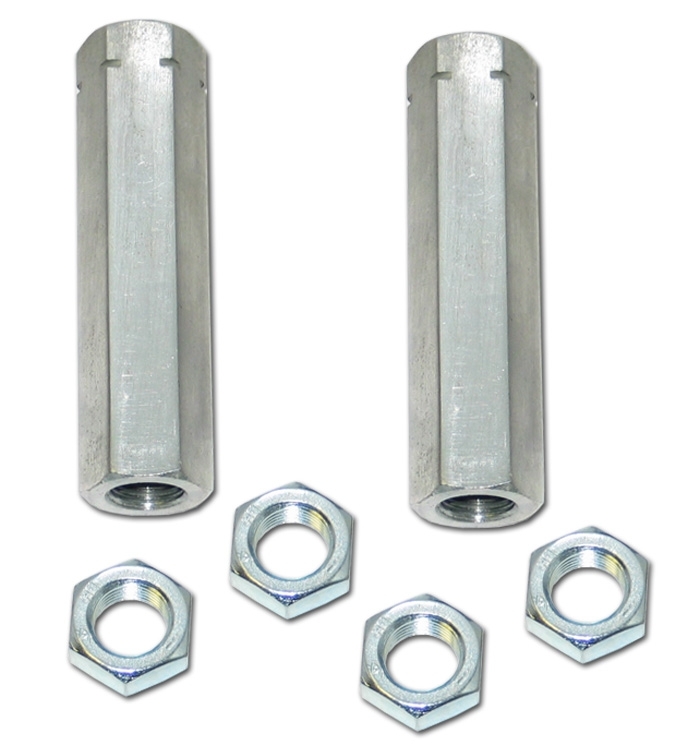 Compare that to our competitor's mild steel adjusters and you'll see that these are by far the strongest tie rod adjusters on the market. To compliment their superior build quality, they come silver zinc plated. Kit includes (2) Extreme Duty adjusters and (4) jam nuts.